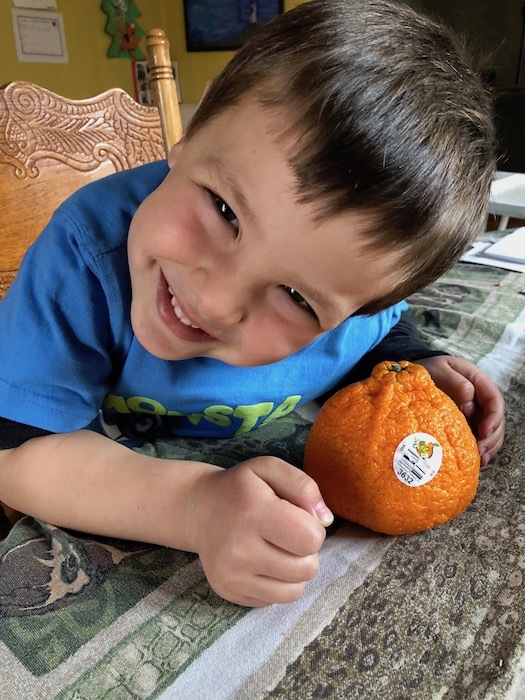 Frugal Boy and I were walking through the produce department and he noticed a strange looking orange. He asked if we could buy it, and sensing a learning opportunity, I indulged him. 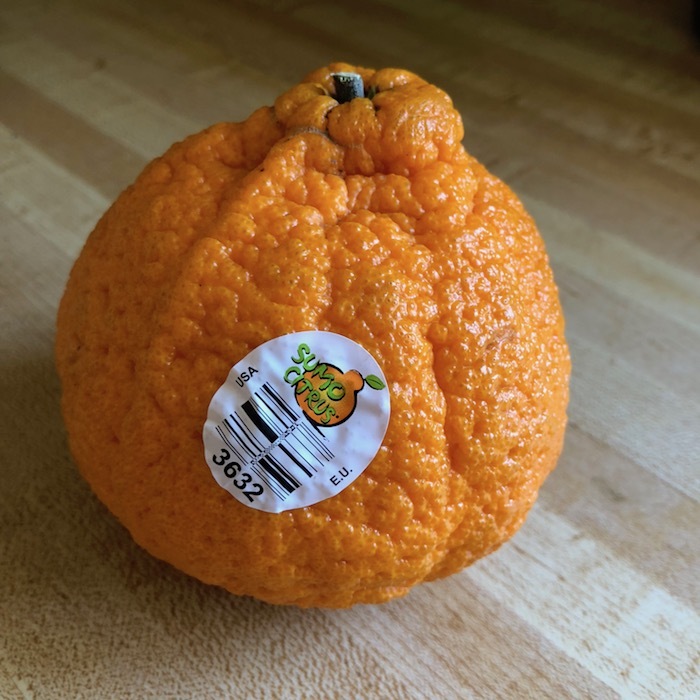 It was labeled as a “Sumo Citrus” PLU 3632. 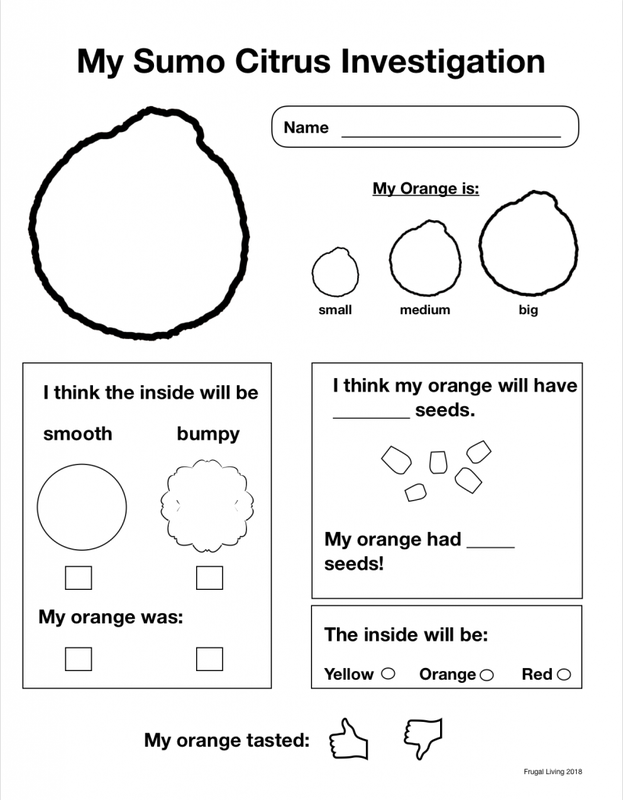 Here is a worksheet that I made that kids can use to investigate the unusual citrus fruit. (Click image for PDF version).